iPhone Application Development India (IADI) offers hire iPhone iOS 4.0 programmer and developer service having proficiency in various iPhone technologies. 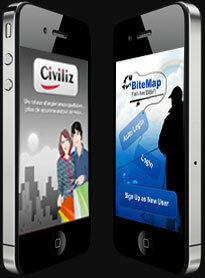 Our experienced iPhone iOS 4.0 Developer for Hire work with passion to deliver the finest in application development. Each of them is well acquainted with the MAC OS X platform and use latest tools and techniques for programming innovative iPhone App.